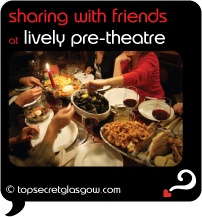 With this in mind, we've put our thinking caps on and come up with the best places for a quick pre-theatre meal. 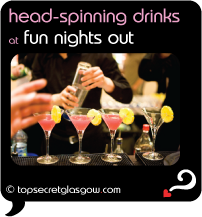 As well as our choice of the best bars for a drink, places to stay if you're visiting Glasgow, and a couple of attractions near The Stand that you might like to visit. A few more minutes up the hill and over to Byres Road will bring you to the delights served by The Bothy /Browse/Restaurant/The_Bothy(reveal best table deals?) . Feeling a lot like a Highland cottage, and with wait staff often in kilts, the quality, no-nonsense food here is the sort that you remember granny making so well. Wonderful meals are served here, out of sight in Ruthven Lane. Its hard to spot, so take your time. In recent years, Glasgow has lead the way in serving up the very best Scotland has to offer. The West End is home to a few of the restaurants that have been part of this fab movement. And they are within walking distance of The Stand. Two Fat Ladies West End /Browse/Restaurant/Two_Fat_Ladies_-_West_End(reveal best table deals?) opened in 1991, and remains a firm local fave to this day. Fish and other Scottish delights are served with relish in a tiny dining room that feels a lot like someone's own home. Lovely. In the other direction, Liquid Ship on Great Western Road always has something fun going on. The bar is popular, and events like occasional live music and pub quizzes make sure the fun keeps us coming back for more. A relaxed drink comes easily in this neck of the woods. Full of easy grace and welcoming vibes, the best can be found close to The Stand. One of the most charming bars in the West End (in the whole of Glasgow, in fact) is The Big Pub at The Chip . A policy of no music means guests can chat without having to shout. Add to this a spectacular wine list and special 'Wines of the Month' and its easy to see why it has been a relaxed success for so long. Across Ashton Lane from The Big Pub you'll find the one and only Brel /Browse/Restaurant/Brel(reveal best table deals?) . Once a coach house, those doors open wide in Summer, leaving you free to enjoy the weather while trying out one (or six?) of their specially imported Belgian beers. Or you can sit out back in the beer garden doing the exact same thing. Bliss! You might not know this, but Glasgow has a rule of making no charge for entry to its museums. And there are two near The Stand that are always worth having a stroll round. If you've come to Glasgow for an over night trip, why not take the time to see just how wonderful they are? At Glasgow University, Hunterian Museum has an eclectic collection on display. Where else will you find an elephant skeleton in the same room as 19th century medical equipment? Glasgow prides itself in the quality of its welcome to guests. In recent years, this has extended to a range of top-notch hotels in the city. In fact, you can reach some fantastic hotels in no time at all from The Stand. 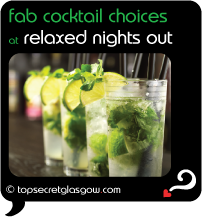 Near Blythswood Square, the town house luxury of Malmaison /Browse/Restaurant/Malmaison_Brasserie_(Glasgow)(reveal best table deals?) 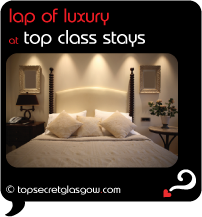 http://www.laterooms.com/en/p8275/hotel-reservations/83375_malmaison-glasgow-glasgow.aspx(reveal best room deals?) awaits your pleasure. Sumptuous and charming, this makes a perfect place to treat yourself. Glasgow knows how to look after guests. With a limited budget, there's no reason you can't still have a brilliant time in this dynamic city. 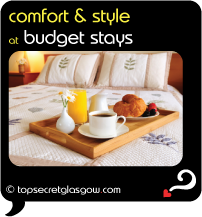 Looking after the mid-range value traveller, Best Western Hotel http://www.laterooms.com/en/p8275/hotel-reservations/93475_best-western-glasgow-city-hotel-glasgow.aspx(reveal best room deals?) goes out of its way to ensure comfy and relaxing nights are at your service. Close to Charing Cross, which in turn is a few minutes walk from The Stand. Perfectly placed, in fact. Enjoy. We're sure your sides will be sore, after all that laughing in The Stand. Why not tell us about it? And about everything else you got up to, on your evening out. We'll then turn your story into your very own web pages - as if by magic! And free, of course. Great news! Finding this page means you can now join our VIP list for The Stand. 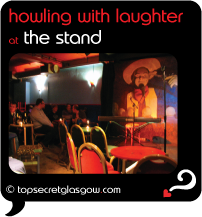 Grab your very own web page all about The Stand. Do you have a special story about The Stand? A funny experience? A grand occasion? A funky photo? A personal tip? A top secret? public Otago Street in the hood!